Pro version same as Standard, but all sounds are included! Seline is a great live performance and improvisation music instrument that will keep you playing for hours, even if you haven't touched any synth before. The sound is altered on the fly with a dozen of subtle AI algorhythms that add unbelievable expression, character and life to your music. 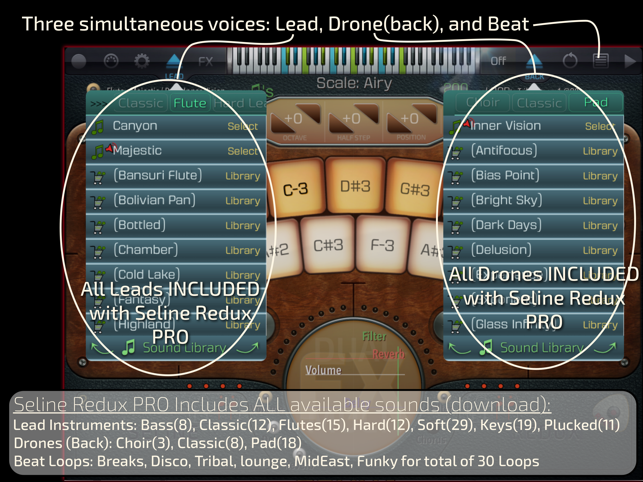 Drones (chorded synth pads) are generated on-the-fly based on the complex analysis of your melody line and provide an excellent background layer for your melody. 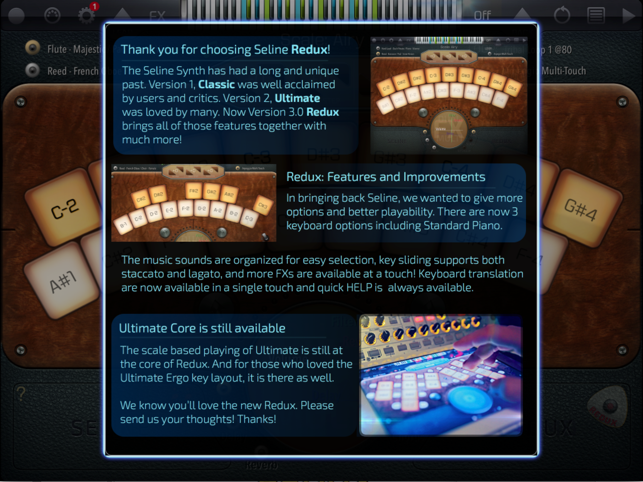 Symbiosis of research, technology, and passion... Seline is the latest, most innovative and best-sounding music instrument for the iPad, aimed at easy creation of complicated, soulful, intricate melodies, backed with lush soundscapes. Record them all, and you'll never run out of musical ideas! MIDI output improved. Updated for latest iOS! I've had this app for years. I played with it for a while and liked it, but it got lost in all my music apps. Recently, I stumbled across Seline again and....WOW. I FORGOT HOW GREAT AND BEAUTIFUL THIS APP IS. I was amazed to see the developers still updating it. It sounds better than ever. I have been playing with it daily for weeks now. 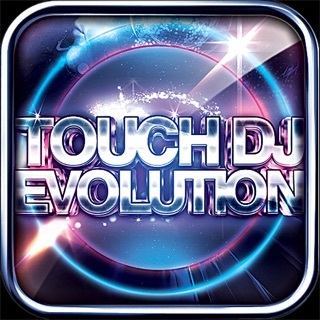 This app has stood the test of time. Tried and true. Beautiful intuitive design and great beautiful sounds. I recently scored a short film with this. Good job on developers for keeping up with this app. Buy it. You won't regret. All music is derived from scales. 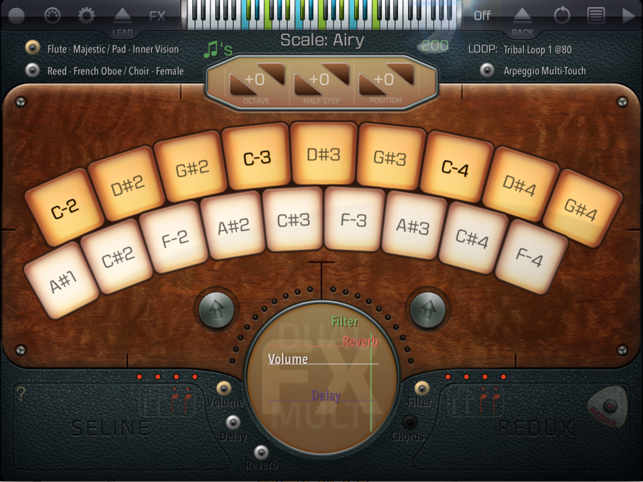 A scale is basically a bunch of notes which sound right together. The thing that makes most instruments hard to learn is that they can play all notes, not just the notes for the scale of the music you happen to be playing. What this means is that with a piano or guitar (or any other conventional instrument) as you play a particular son, the notes and chords for your song will all be part of a particular scale, but the guitar/piano/etc have frets/keys/etc for other notes that aren't part of that scale, and so you have to memorize scale patterns in order to avoid those other notes, because they will sound awful if you hit them. The genius of this app is that you pick the scale you want to play in, and it removes all of the keys that don't belong to that scale. This means that you can't hit a wrong note! Ir also means that you don't have to memorize any scale patterns. This makes it super easy to improvise nice sounding music with basically no understanding of music theory! The app has one problem in that when you enable the controls which let you change the key and octave, it disables the step up/down buttons, which are extremely important. This makes it difficult to quickly change octaves or key while still trilling as you may want to do. I can't see any reason for this omission. Otherwise I would give it 5 stars. 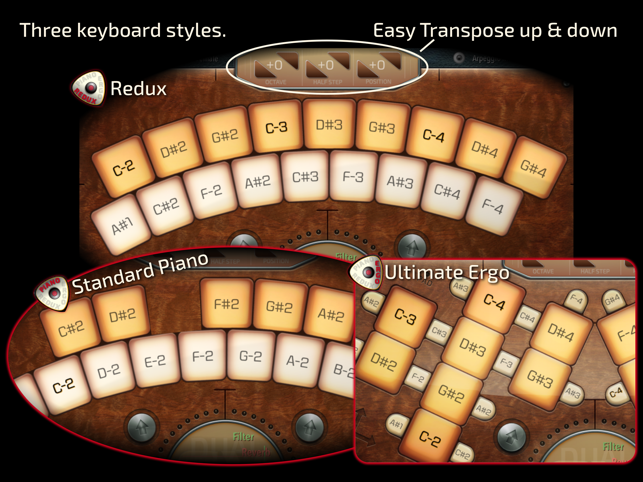 It would be nice to have octave and key controls permanently in the bottom left hand corner of the GUI. Ok I have just got this and am playing around with it.. So far it is good, I am not sure how deep one can go.. I am hoping this allows me to layers sounds over each to create music with a wider variety of sound n creativity, I am curious while you don't add a piano, guitar and drum instrument preset? I will give a more thorough review on what it allows.. As of now I see it does allow redubbing, but I am not sure what it may be limited to. 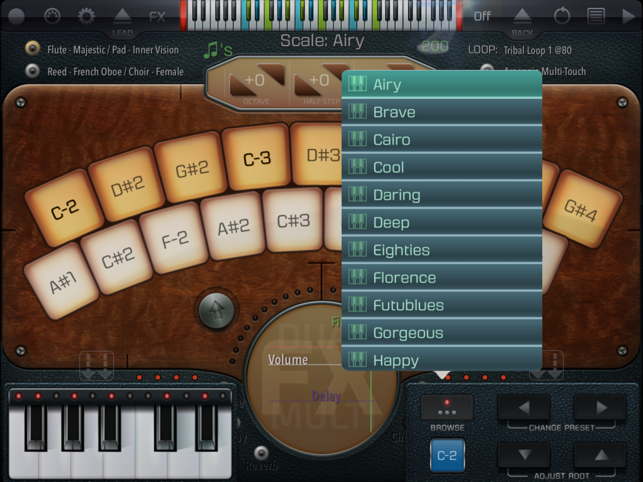 I really want a piano preset as well more than anything. As for the reviews that mention it's difficult, it really is not. All the notes are shown in text change notes is a quick touch. If one has sheet music or notes in front of them it's just take some practice like any instrument.. As for just free styling it is possible and like instruments would be of full use if you have some knowledge of playing music. 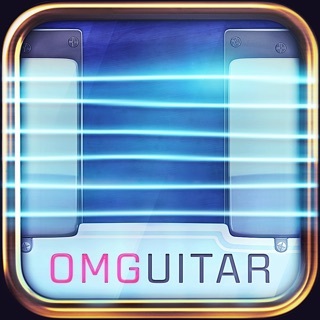 This is really a cool app that has a ton of potential I highly recommend it and hope that updates make this the go to app for music on iPad. Let's hope the developer actual read these reviews.